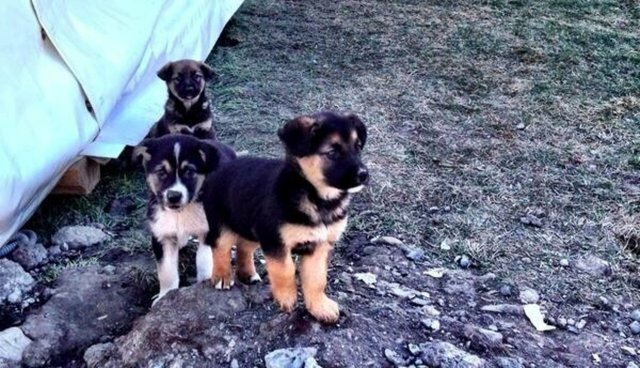 Sochi's stray dogs have been making international headlines this week -- for being incredibly adorable, for crashing official Olympic events and, unfortunately, for the city's inhumane extermination program that has targeted them. Many people want to help -- and there are lots of ways you can do that right from your laptop. The guide also includes information on veterinary services in Sochi, necessary paperwork and airlines that transport pets. The adoption can cost anywhere from $150 to $2,000, HSI reports, but it is very likely to save the life of one of Sochi's stray dogs -- for some inspiration, you can see a whole gallery of the pups here. And there certainly is a demand already, said HSI's Kelly O'Meara in an email. "Humane Society International has received countless inquiries from concerned citizens around the world regarding the terrible dog killing plan in place in Sochi," she said. "Many people have expressed interest in adopting a Sochi street dog, and HSI wanted to provide the basic information to start people on this path. HSI has provided funding to the local rescue groups to purchase food and vet supplies, and the adoption information was one more way to help them find forever homes for the Sochi dogs in their care." If you're not able to travel to Russia, adopt a dog from a local shelter. The Shelter Pet Project can help you find a great local shelter and the perfect pup, too.